After having seen a bunch of members wearing these at the Colorado Rally, and hearing about how much they loved them, I asked my Wife to get me one for my Birthday. I certainly could have used it that day. Anyway, I have been wearing it to/from work each day this week. It works Awesome!!!!!! I can't believe I have never thought about getting one of these sooner...............? The mornings have been cool, and when you wear it dry underneath a mesh jacket it provides an additional insulation/wind-break layer. I can't believe how much more comfortable I feel while riding in the heat! I originally was on the fence about getting one with the added collar, because all the ones I've seen folks wearing at the rally were more of an open/low-cut top. I am glad that I chose this model. You can also tuck the collar inside, and not zip it up all the way if you want to wear it without the collar. If you are on the fence about getting one of these, and you ride in hot weather, GET ONE! There are a bunch of different brands, and most are around the same price. I went over to Performance Cycle, and they happened to stock this exact brand "Techniche", so I was able to get an exact size that I needed. +1 With the cool vests. I know of 3 brands, and i am sure there are others. Cycle Gear, Joe Rocket and as Alan mentioned Techniche HyperKewl. I have used my HyperKewl vest for a couple of years now. They really do make riding in 90-105 degree F heat bearable. 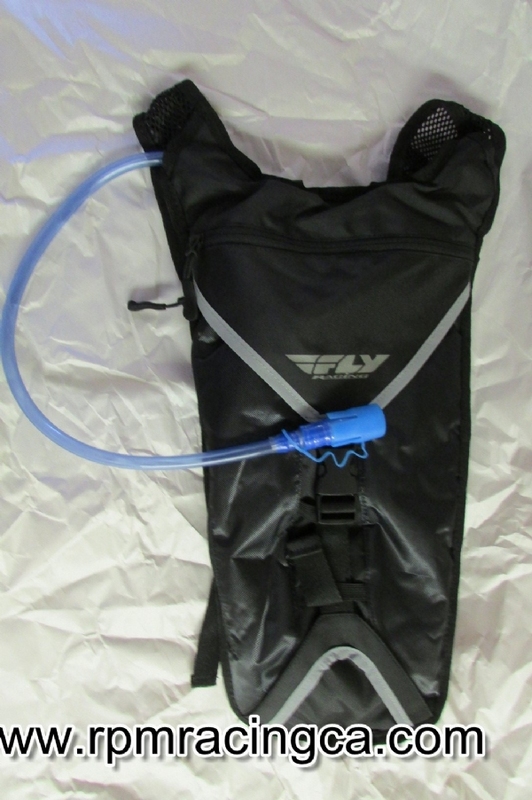 Pair it with a CamelBak hydration system, long distance riding in the heat can be done with minimal ill effect. 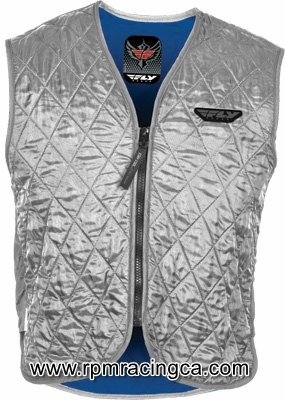 This vest will NOT work with a standard leather or textile jacket. A mesh jacket is required. I have the type that Alan mentions that does not have the collar. I just recently found another version that has zip off sleeves. I got it as a closeout and I believe they are no longer produced. Bought mine on a whim on the way up to the 2015 Klickitat "mini-rally"... It was forcasted to be 100+ degrees by noon every day we were going to be there. We adjusted our riding times to be on the road by 7:00am and back in the ohhh-so-wonderful air conditioned cabin by early afternoon. That, combined with an evaporative vest and my full-air-flow riding gear made the temperatures bearable. Whenever I stopped for fuel or a bite to eat, I'd just soak the vest in the nearest sink and all was good. HIGHLY recommend these!!! There are two types of people in the world...Those who put people into categories...and those who don't.